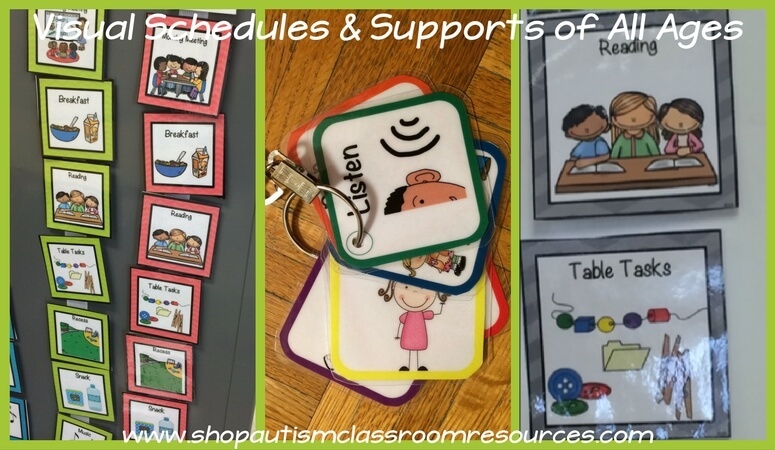 Start the Year Off Right in the Special Education Classroom! There are a few things that you can do t start off the year strong. Putting some time in up front will definitely help to make life easier down the line. But, you don't have to do EVERYTHING if you are just starting off in your first or second year in the classroom. I'm sure everyone has their list of things that HAVE to be done before school. So I thought I would share mine. Learn as much as you can about your students. 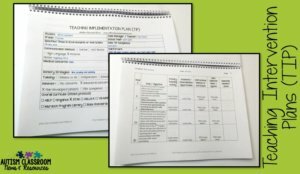 Whether you make Teaching Interv﻿﻿ention Plans, read through the IEPs and write down what the students need. Review any behavior plans you have and review them with your staff. Create a schedule that has the students engaged throughout the day. You can learn more about creating schedules in these posts. And know that you will likely change the schedule, but you need a place to start That provides structure for the staff and the students. Don't leave time open...avoid downtime. Create a big set of activities for students to engage with during the day that you can pull out if you have downtime. Workboxes﻿﻿﻿ like we use for independent work are a great thing to have on hand...then if you have unexpected gaps in the day, you can pull them out for the students to interact with. Make them simpler than you think the kids need so that they can be more independent with them. Spend time at the beginning of school, hopefully before the students come in getting to know your staff. You can't build a team without building relationships between the people and that takes time. I have some ideas for how build those relationships in my Building Classroom Teams toolkit. A classroom vision statement template is another good way to bring everyone together with a common purpose. You can find one in that toolkit and I talked about them in this post. Make a zoning plan that outlines what you want the paras to do within the day. Be explicit about what you want them to do and who you want them to be with. Get their input on it too so that it's a team developed plan. Put visuals up for the daily schedules, check-in stations, finished signs or stop signs on doors and computers as visual reminders, and get your independent work systems set up. You can read more about what visual supports I think are critical in this post. Use the schedule but be flexible. 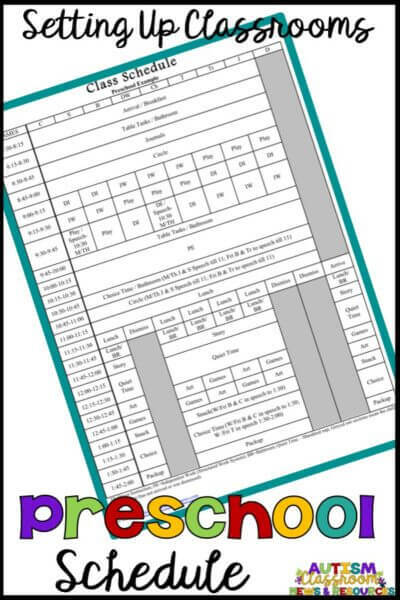 Make copies of the schedule for every adult, but communicate with each other about when to stop or start an activity. If something is working it can last a bit longer and if it's not move on--but always check with staff so everyone is on the same page. Within the activities of the first few days, prepare to just play with reinforcers with the kids. Put them out and see what they are motivated by. Introduce some simple tasks that just get them in the routine of following directions and reinforce them for doing it. Most of all make all the activities of the days engaging for them. Sit down at the end of the day (with the staff if you can) and review what worked and didn't work. Figure out what you need to tweak and change for the next day. Make the changes and then do it again the next day. Do this until you get something that works for your students and you and the staff. It's funny that for teachers who specialize in breaking things down to teach them in small steps, we don't take our advice. We need to remember we don't have to do everything AT ONCE. Better to be successful teaching a progression than unsuccessful because you tried to do too much. Make a plan. For instance, if your students don't know how to use the visual schedules think about just teaching 1 student or 2 for each staff member. Give the other students their visuals to transition. Start with the most independent students And move toward the students who need more assistance. This allows you to focus on instruction and not drive yourself crazy. Over time, start adding in your initial assessments like the GPS for the Unique and the ﻿﻿STAR or other curriculum based assessment. Start increasing difficulty of tasks and eventually reduce the use of reinforcement --fading it out while keeping the students responding well. Then start to add data in. In short, don't try to do everything at once. Add things in one piece at a time. That's going to make it less overwhelming for all of you and likely to be more successful.